In my perfect world, I would live on top of a mountain in Hawaii, be happily married to Mila Kunis, and drive around in a Jaguar F-Type SVR. Well, one out of three isn’t so bad. I’ve professed my love of all things Jaguar here on the interwebs for a several years now. And for Mila Kunis as well, though not enough to grab her attention, which I suppose in retrospect is a good thing lest Ashton comes a ‘calling for me in a darkened alley. 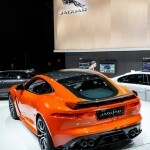 In the last few years I have fallen head over heels for the Jaguar brand. Not the old one mind you, those to me are still crap. 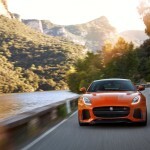 Today’s Jaguar brand however is a reinvention of the iconic British sports car maker. Magnificent in their design, wonderful in their execution, and a joy to drive on the road. 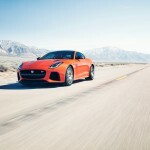 I’ve had time behind the wheel of the XE sedan the F-Pace SUV, and the F-Type R which left me with an afterglow, wanting a smoke, and a few minutes to just cuddle. 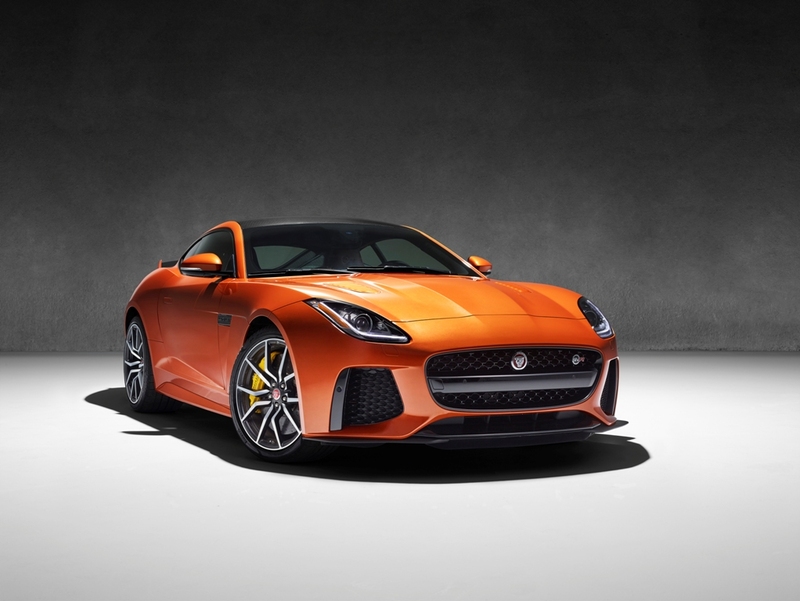 None of this however prepared me for the latest offering from Jaguar, the, new for 2017, F-Type SVR. 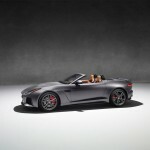 The F-Type R was like have intimate relations with your girlfriend, the SVR version is like having your girlfriend show up carrying a Victoria’s Secret bag and a smile. 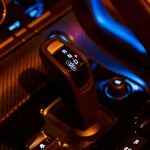 Jaguar Land Rover introduced the Special Vehicle Operations (SVO) division several years ago. Not really a skunkworks, it’s more than that; it’s the British version of AMG. A place were normal cars are taken to the next level. Where things are added to make an already good vehicle even better. 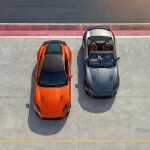 The SVO division put the R in F-Type, and not long ago introduced a limited-edition Project 7 F-Type (a total of 250 units were made, and all sold). 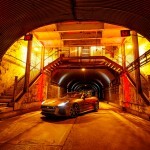 From this came forth the F-Type SVR. The SVR stands for Special Vehicle. And someone at Jag simply told me in their famous British smug way that the “R” was self explanatory, which gave me no real answer, so let’s just say it stands for “Racer”, or “Rousing” or whatever the hell you want it to mean. 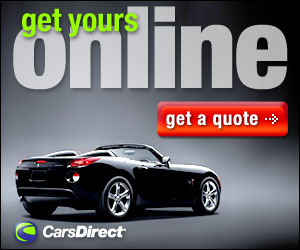 They also make a convertible version, though for my week, I had the hard top. 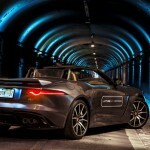 What the SVO has done is taken an F-Type and made it even better. It’s lighter, has a more rigid, race-tuned suspension (including a new rear knuckle, and thicker rear anti-roll bar), and is more powerful, with more horses under the hood and more torque to the wheels. There is also a new diffuser and a retractable rear wing. 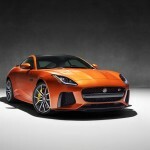 The torque vectoring system has an SVR tuned setup and the Jaguar Adaptive Dynamics system has been tweaked. Outside the body styling has a few changes including huge intakes on each side of the front grille and a low slung splitter, along with a rear bumper redesigned to allow room for the diffuser. Inside the SVR sport seats have 14 different positions and are covered in a soft, supple leather topped with an SVR logo on the headrest. Everything is stitched in a Lozenge Quilt pattern with micro piping and contrast stitching. 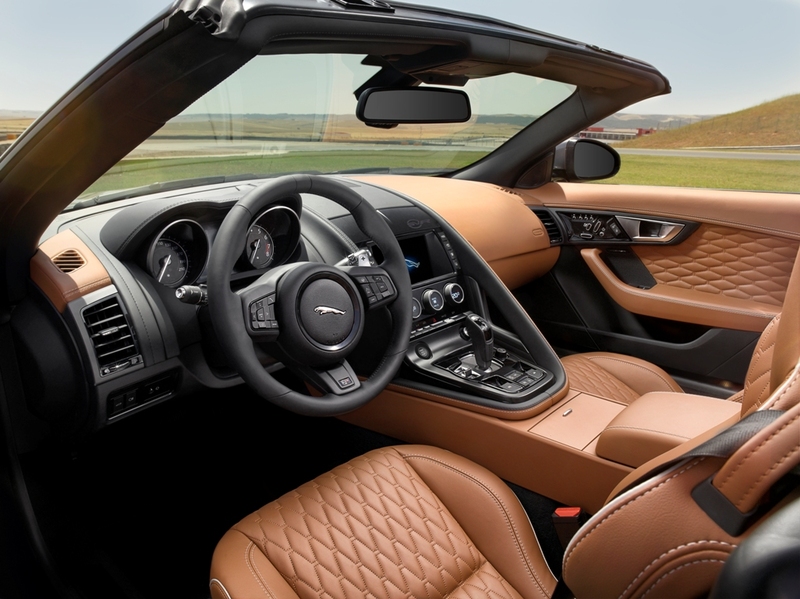 Behind the racing type steering wheel the anodized aluminum paddle shifters are larger than the F-Type. The instrument cluster and center console are wrapped in suede all accented in carbon fiber. 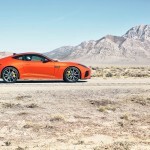 The end result is the fastest production Jaguar on the street; a 200-mile per hour supercar that can be used every day, then taken to a track and raced alongside the big dogs. 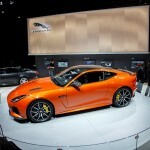 The looks were my first clue that the SVR was something different. Behind the wheel came the affirmation. The engine sound blasted out through the titanium exhaust was the first clue. The 0-60 in just under 3 seconds confirmed it. That was quicker than the F-Type R 0-60 of 3.1 seconds. The difference in horsepower, 575 for the SVR as opposed to the 500 in the R, and the 516 ft-lbs of torque, up from 502 make all the difference in the world. 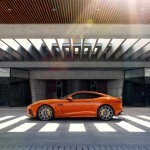 The V-8 supercharged engine is mated to an eight-speed automatic transmission (no manual available in the SVR). That gearbox has been tuned to have shorter shifts and increased torque on launch, which no doubt contributed to my quicker 0-60 times (you can’t do 0-60 tests just once in an F-Type or SVR, you must do it multiple times, because… science). 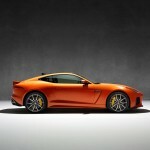 Jaguar touts the SVR as being able to hit 200 miles per hour. While I don’t live close enough to a race track to have had the opportunity to test that claim, there is a video, provided by Jaguar of Michelle Rodriquez, of Fast and Furious fame, reaching 201. On my out-of-the-way road course, a relatively straight stretch of 2.5 mile Florida road containing one wide curve, I was comfortably able (allegedly for any of my local law enforcement readers) reach 148. That is easily faster than any of the other sports cars I have tested on that same stretch, the closest being a 2015 Corvette that topped out at just over 130. I emphasize comfortably, because despite my racing background, if I am in a speeding car that makes me feel uneasy over 120 mph, I won’t push the issue. The SVR however, thanks in large part to its standard optimized All-Wheel Drive, and wider tires, stuck to the pavement and gave me not one moment of doubt. And Jaguar’s Super Performance braking system gave me the confidence to stop in short order from a speed at which some aircraft get airborne. While I don’t normally drone on about such things one of the biggest game changers perhaps is the reduction in drag from the R to the SVR. 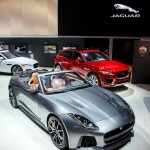 According to Jaguar the reduction in the drag and lift coefficients are 2.5 per cent and 15 per cent respectively. 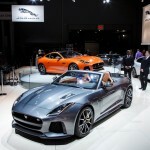 All this combines to allow one to understand that while the F-Type R is good, the SVR is so much better. And while the SVR is better than the R, the prices, surprisingly, are similar. The fully loaded 2016 F-Type I had last year had an MSRP of $128,595. The 2017 SVR, which was equally as loaded, had an MSRP of $126,945. An expense like that puts either F-Type out of most of our leagues. However, after my week with the SVR, I can truly say that after having driven a Lamborghini on the road course at Daytona International Speedway and a Ferrari around the Nurburgring, the SVR is the closest you can come to owning a street legal supercar that you can drive every day and take to the track when you want. Compare that price to even an entry level Lamborghini or Ferrari, and the SVR is quite the bargain. It left me coming down from an adrenaline rush on several occasions, breathless and wanting more. I may never live on a mountaintop in Hawaii or marry Mila Kunis (although she does force me to buy copious amount of whiskey), but after experiencing the SVR, if I can ever own one I will, and that you can bet on. Engine: Supercharged and intercooled V-8, 575 hp at 6500 rpm, 516 ft-lb torque at 3500 rpm.